1. All taxpayers are required to file monthly return in Form GSTR-3B along with payment of tax by 20thof the succeeding month till March, 2018. Taxpayers whose annual aggregate turnover is up to Rs. 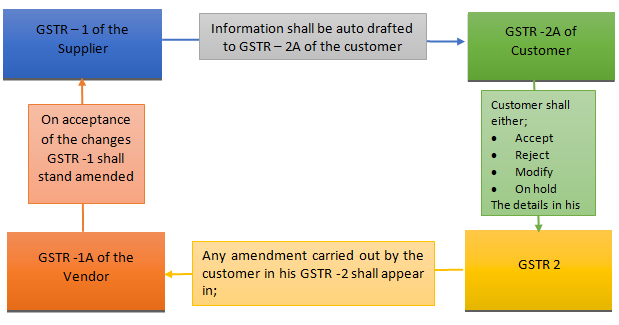 1.5 crores are required to file GSTR-1 on quarterly basis. Taxpayers whose annual aggregate turnover is above Rs. 1.5 crores are required to file GSTR-1 on monthly basis. 4. The time period for filing GSTR-2 and GSTR-3 for the month of July, 2017 to March 2018 would be worked out by a Committee of Officers and till then taxpayers will not be required to file GSTR-2 and GSTR-3. 5. Late fees paid by taxpayers for GSTR-3B for month of July, August and September has been waived and the same will be re-credited to their Electronic Cash Ledger under "Tax" head instead of "Fee" head. 6. From October 2017 onwards, the amount of late fee payable by a taxpayer shall be Rs. 20 per day if tax liability for the month is 'Nil' (Rs. 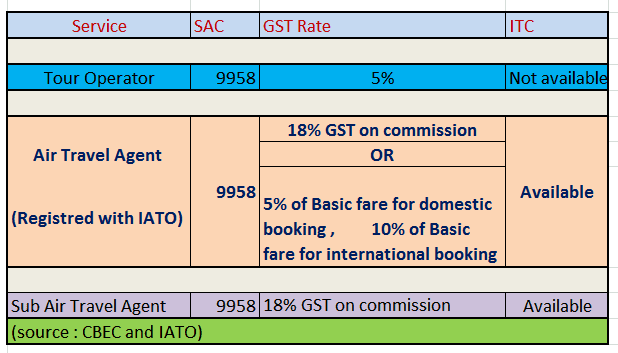 10 per day each under CGST and SGST Acts). 7. It has been decided that a facility for manual filing of application for advance ruling is being introduced for the time being. 8. It has been decided to exempt suppliers providing services through ecommerce platform from obtaining compulsory registration if their aggregate turnover does not exceed Rs. 20 lakhs. 9. The due date of TRAN-1 has been extended to December 31,2017 and due date for filing of GSTR-4 for the quarter July- September,2017 has been extended to December 24, 2017. 10. Only 50 items will remain under 28% tax slab and tax rate of existing 177 items will be reduced from 28% to 18%. The major items on which rate has been reduced are- Furniture, Trunk, suitcase, vanity cases, brief cases, Detergents, Shampoos, Perfumes, Slabs of marbles and granite, Articles of cement or concrete or stone, Chocolates, Chewing gum and Cinematographic cameras and projectors. 11. All stand-alone restaurants irrespective of air conditioned or otherwise, will attract 5% GST without Input Tax Credit. Restaurants in hotel premises having declared room tariff of less than Rs 7,500 per room per day will also attract GST of 5% without ITC.